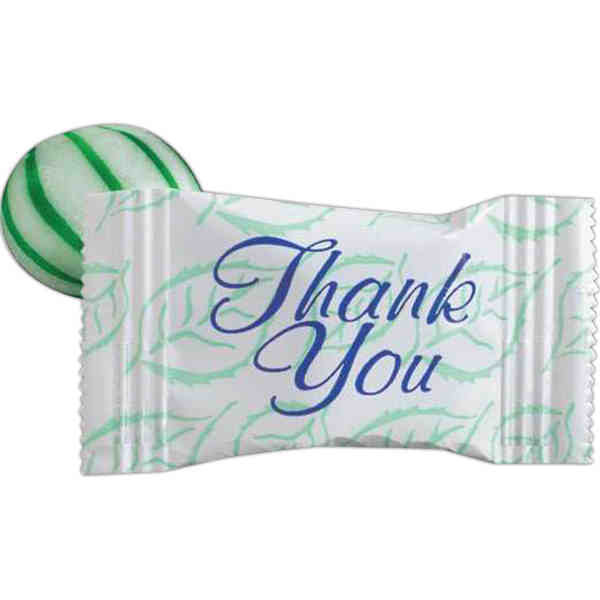 Say "Thank You" to your customers, co-workers, event staff and employees with these stock wrapped green striped spearmint candies. These non-melt treats are individually wrapped and will make a welcoming addition to any customer service reception area. Make each customer feel appriciated by handing these mints out at restuarants, tradeshows, bars, parties, and even more! Each wrapper includes one of 5 random messages on the back. Sold per case of 1,000.